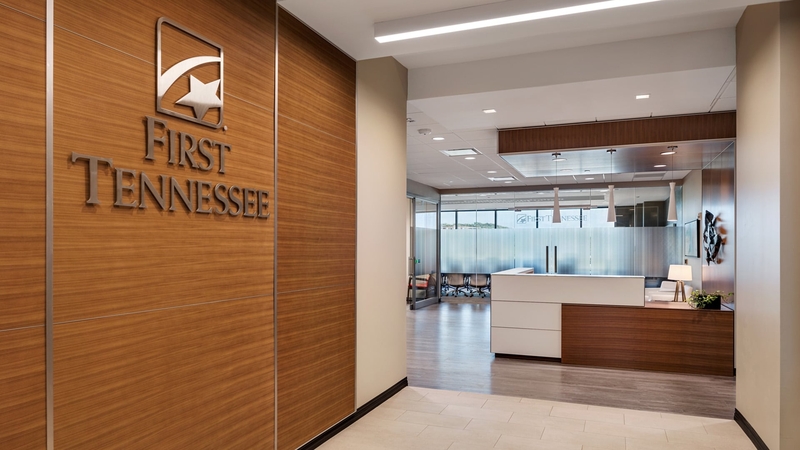 The third floor of Building A within the Hill Center Brentwood development was designed to create a consolidated office location for various First Tennessee Bank departments that were previously spread among multiple office locations throughout the region. The design of the new tenant buildout coordinated with the finishes of the shell building, while maintaining the tenant’s corporate aesthetic. TMP worked closely with the selected furniture vendor to ensure the glass privacy walls and systems workstations would function spatially throughout the floor plan.